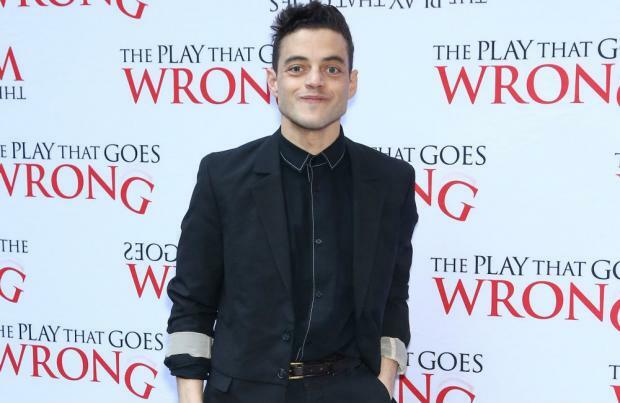 Rami Malek admitted being a 'James Bond' villain would be a "dream role". The 'Bohemian Rhapsody' actor has been linked to taking on a very different part in 'Bond 25' – which could be Daniel Craig's final outing as 007 – and he didn't rule out the possibility of joining the cast. While he admitted he would "absolutely" say yes if he was asked, he coyly told 'Entertainment Tonight': "We'll have to see about that. "It would be nice to play a villain, that would be an actor's dream, another dream role for me. I've got to play so many great ones so far and who knows. I'm keeping tight-lipped." Meanwhile, 'Bodyguard' actor Richard Madden has said it is "flattering" to be tipped to take over as the suave spy when Craig steps down from the franchise. He recently said: "Look, it's very flattering to be involved in that conversation. There are some films to be made, so who what will happen in the future." His comments come after Ben Whishaw claimed he hasn't been told whether or not he'll be reviving his role as iconic gadget expert Q in the next instalment of the blockbuster film series. He admitted: "I'm not even sure if I'll be in it. I'm assuming that I'm not going to be so it will be a nice surprise if they put me in. "I think it's right [director Cary Fukanaga] and Daniel need to just figure it out. I've done two; I've had a good run." Though he claims to be be in the dark about his future, the movie's helmer previously suggested Whishaw would return along with fellow British co-stars Naomie Harris and Ralph Fiennes, and Lea Seydoux. Lea, 33, portrayed Bond girl Dr Madeleine Swann in 2015 movie 'Spectre', and she looks set to reprise her role after support from Craig – who is to play the suave spy for a fifth time in the forthcoming film – and the filmmaker. Fukanaga – who will be helming his first Bond movie – said: "Lea will be returning." And speaking about the British trio, the director added: "You have some of the best actors in the world here. Why wouldn't I have the best coming back?"